Thanks to everyone who followed along in our Burlap Brights Block Hop the last couple of weeks! Below are the randomly selected winners from each day of the hop, as well as links to the tutorials in case you missed one. 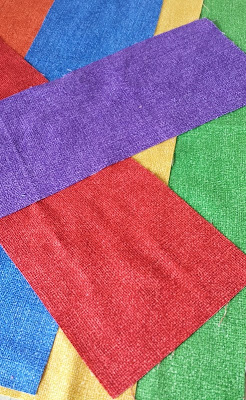 The winners will be receiving a fat quarter bundle of the six Burlap Brights colors we used throughout the hop. We can't wait to see what they make with these texture-look prints! 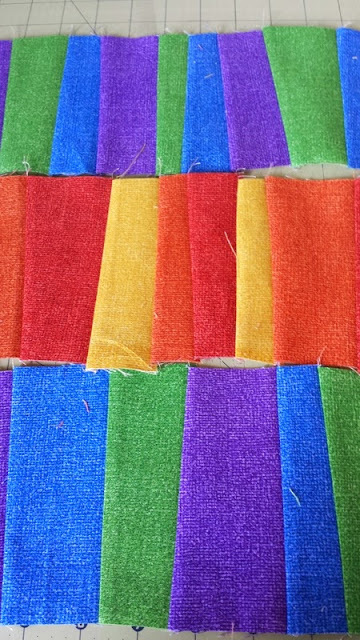 Winners, you'll be hearing from us via email so we can get your mailing address and send these fabric rainbows out to you! 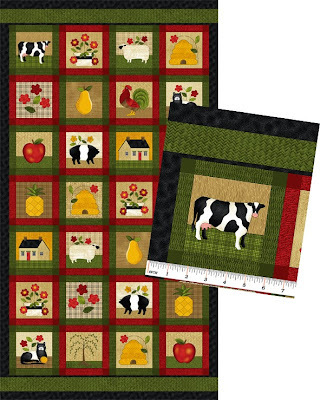 If you liked Cheryl Haynes' Folk Art collection, we're pretty sure you'll also fall in love with Moose on the Loose. 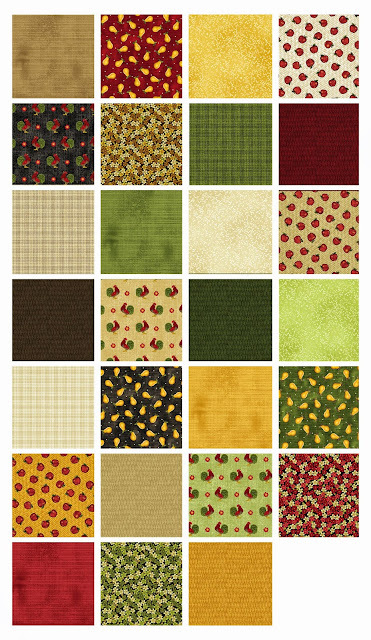 This collection, in Cheryl's signature folk art style and palette, centers around a lovable moose face and has a north woodsy feel. 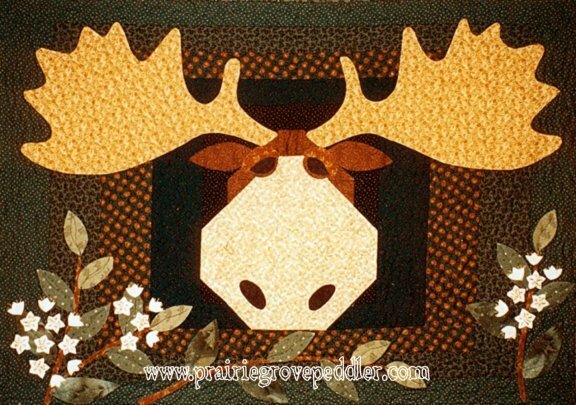 I have a quilt pattern called Moose on the Loose. When I went to Keepsake Quilting in New Hampshire some years ago, I fell in love with the cutest little stuffed moose for my son. That was when I designed a moose face—every time I look at the moose face, I think of that stuffed toy and my trip up there. The quilt ultimately led to the fabric collection. Tell us about the main moose in the panel. The panel features the moose facing forward, just like my original pattern. I had a lot of fun doing that—I love the moose head. I even did a punch needle design with the same pattern. 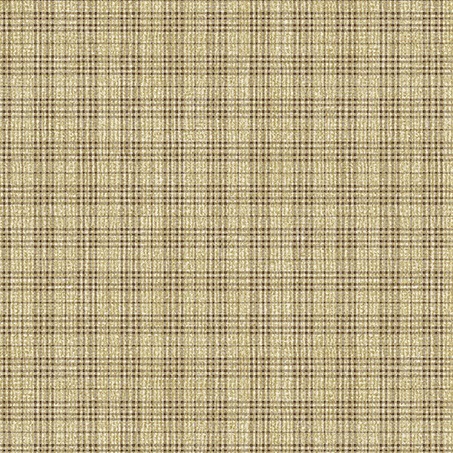 What’s one of your favorite fabrics in the collection? I love the allover moose head print that mimics the panel. I think it’s really cute. Overall, I love the darker colors of the entire line. And my husband has already told me that he want moose fabric curtains for his camper. 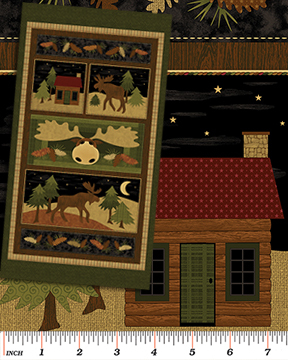 Tell us about the Moose in the Cabin free quilt pattern. I like log cabins myself. I think they’re easy to make and I love playing with the colors. You can do so many things with them, putting colors in different positions. I wanted something simple and North Woods-ish. 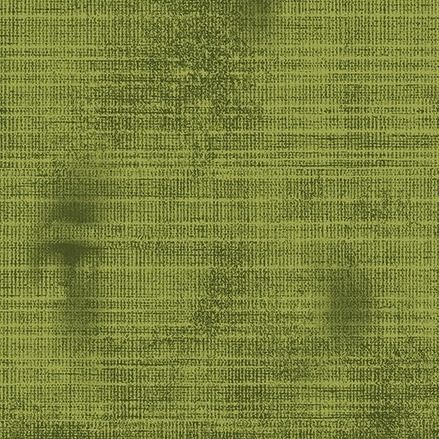 The greens and browns in the line worked really well for this. 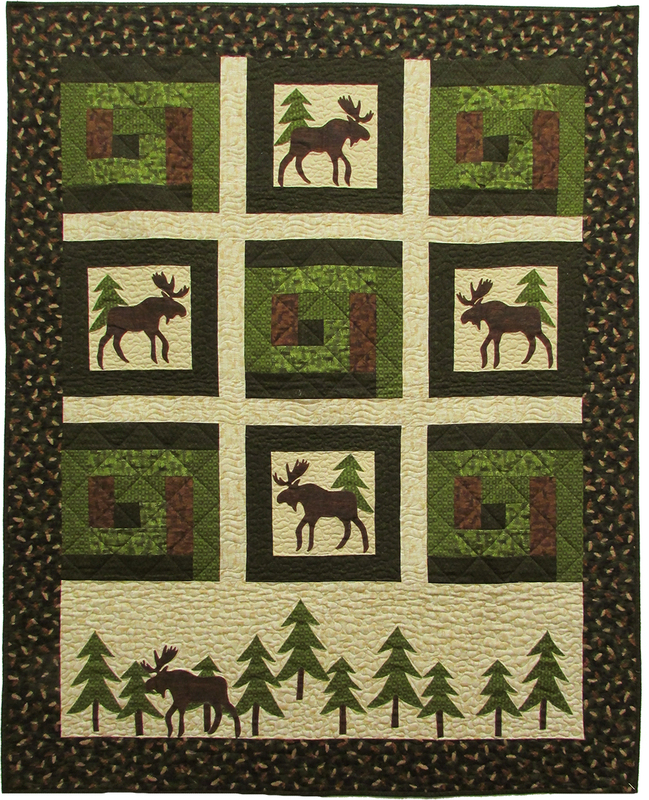 The moose and the trees are just quick fuse appliques; I think they go well with the north woods theme. If you love the prints in both Folk Art and Moose on the Loose, great news! One thing I like is that a lot of my lines go together. The palettes are similar. 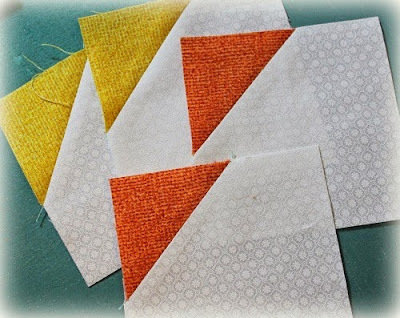 You can take fabrics from different lines and use them together. 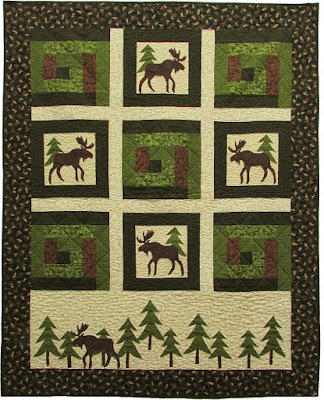 Click here to download the free pattern for Cheryl's Moose in the Cabin quilt. 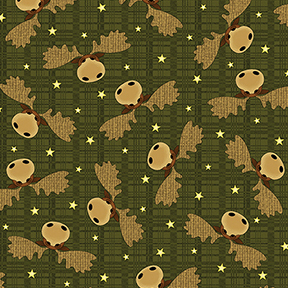 Click here to see the entire Moose on the Loose pattern. Learn more about her Folk Art collection here. 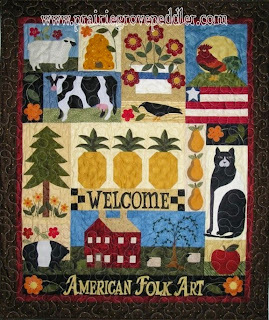 We're sharing a bit of Americana today with Cheryl Haynes' Folk Art collection. 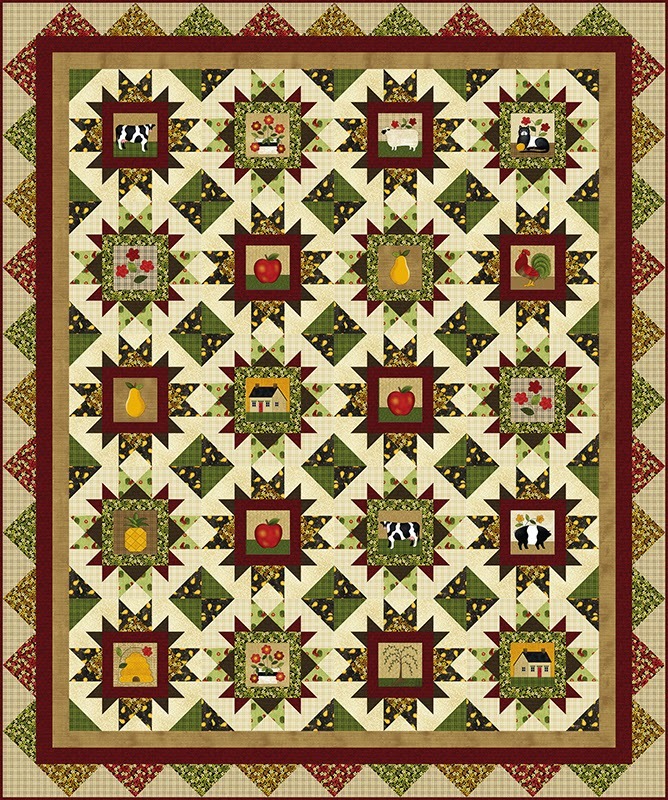 Inspired by a series of quilt patterns, this new line includes many of the classic folk art motifs in Cheryl's signature style. A panel and a patch print of little squares compliment the wide range of coordinates. 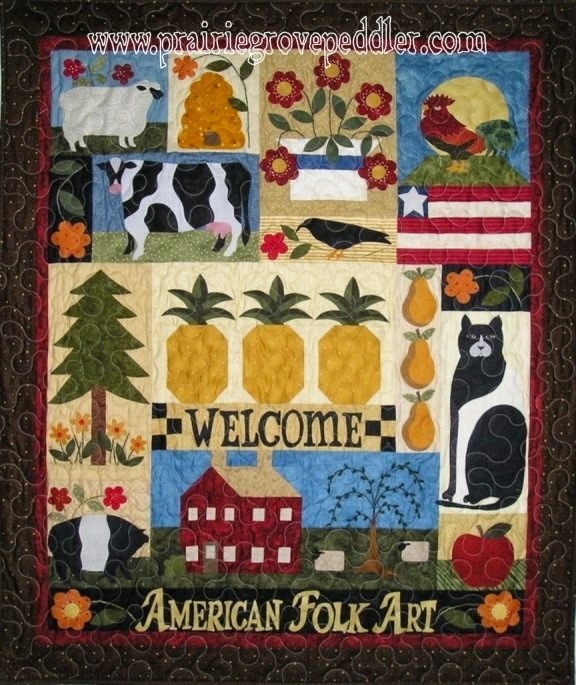 What inspired your Folk Art collection? 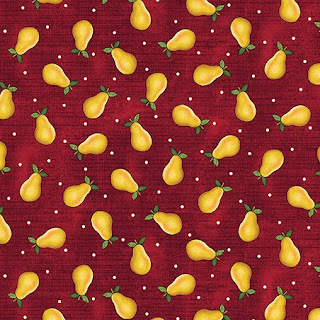 It’s similar to my American Folk Art Series patterns—six patterns that make up a quilt. 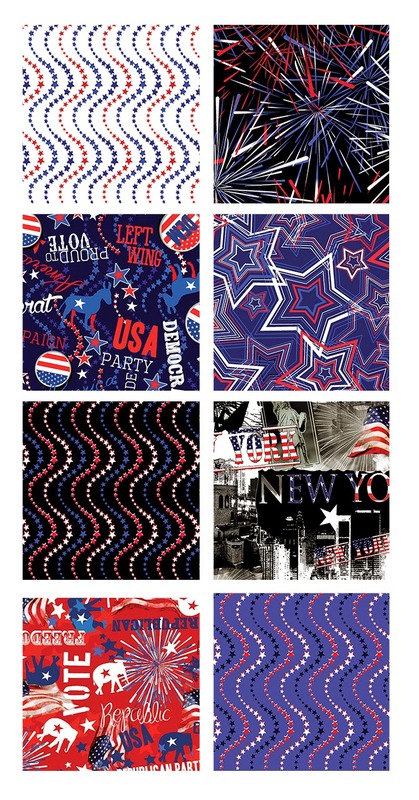 I turned the ideas from these patterns into a fabric line. What’s one of your favorite prints in the collection? In this line, I really like the pears. I like their folk art look. Tell us about the patch print. The little squares, you could do just about anything with. They’re 4” squares. 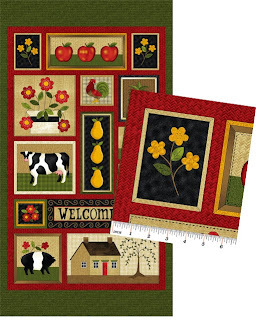 You can cut them apart, add borders, use on things for the kitchen like pot holders, toaster covers, table runners. 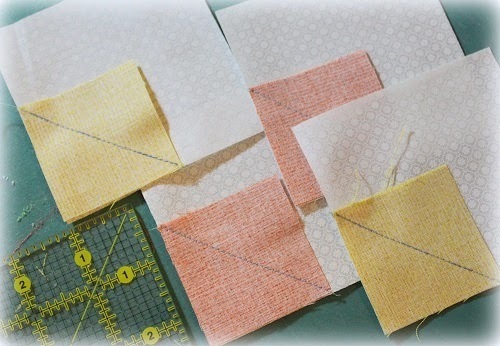 I try to put at least 1” around everything so you can cut the squares apart. And what about your panel? I love the flower pot. I really like the cow and the pig. Of course, I live in the country and see a lot of these things on a regular basis. The whole panel is just kind of all me. You can get a lot of different projects out of one panel. Let’s talk about your tonal prints. I do like tone on tone. 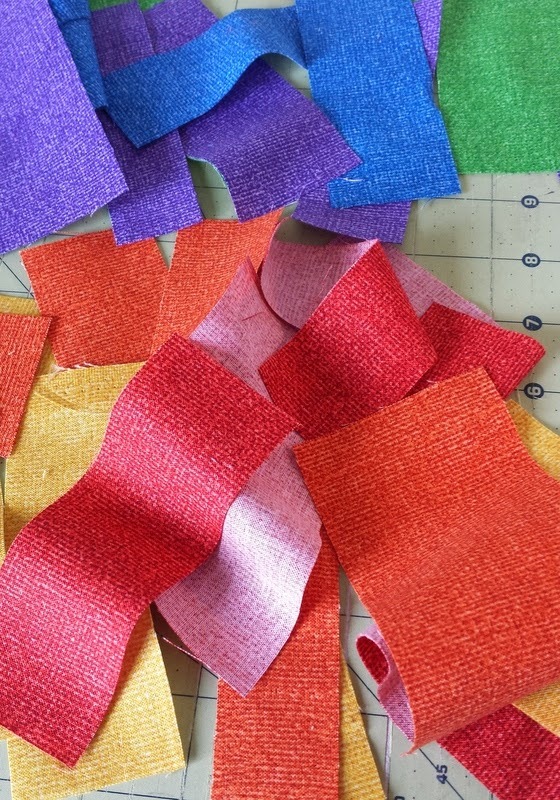 I personally don’t ever sew anything with solids. 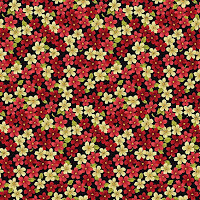 I like basic patterns. I like to design with color, not necessarily patterns. 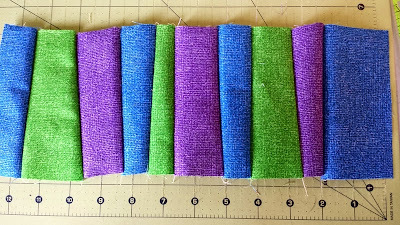 So I like subtle tone-on-tones to sew with. They’re really good basics for quilts. 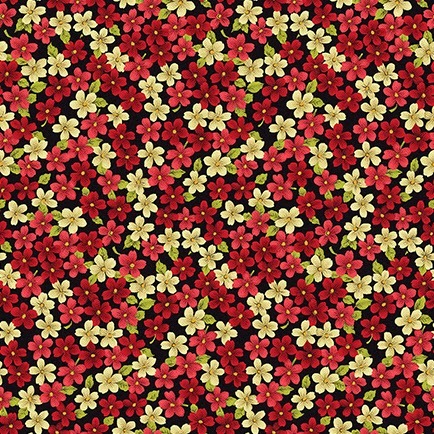 I really like the floral that we used too. 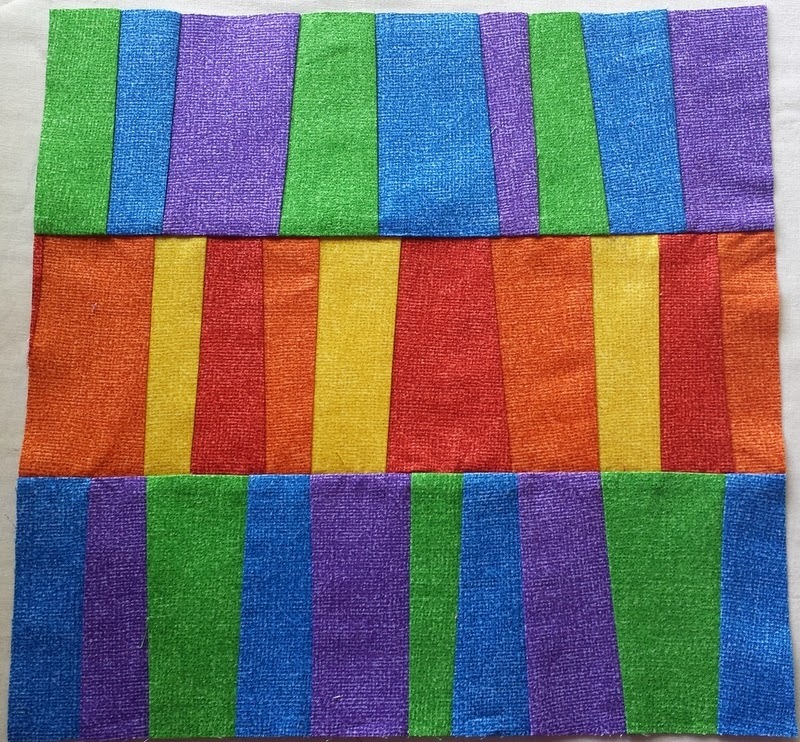 It’s small, easy to use, not overwhelming to a quilt, yet it goes so well with the rest of the fabrics. 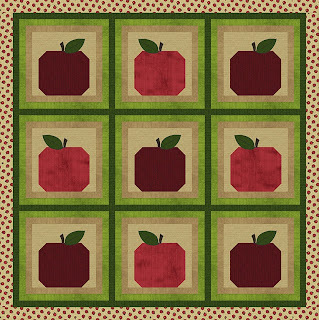 Tell us about your Bobbing for Apples quilt. I love apples. My parents were both teachers, and teachers get apples, so we always had lots of apples. I also like the reds in the line and this was a good way to use them—I think there are a lot of fun prints in this folk art. 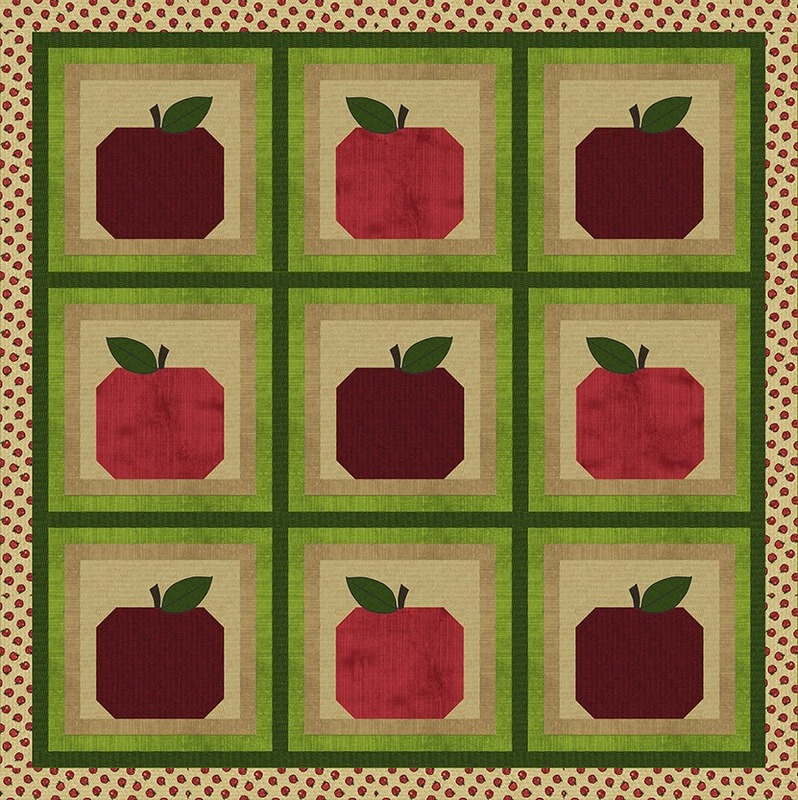 Click here to download the free pattern for Cheryl Haynes' Bobbing for Apples quilt. Click here to see the entire Folk Art collection. 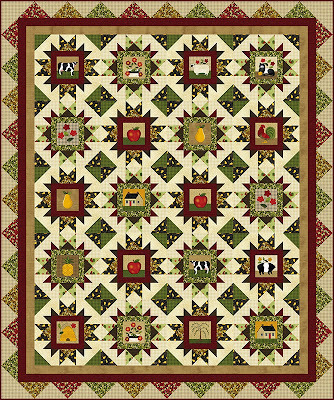 Click here to download the free pattern for Heidi Pridemore's Country Pickins quilt, which uses the patch print. On Memorial Day, we'd like to take a moment to thank all the men and women who have served and sacrificed for our country. Thank you! 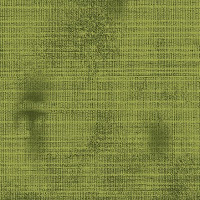 Click here to see the entire Celebrate III collection from Kanvas. Welcome to the eleventh and last day of our Burlap Brights Block Hop! We hope you've enjoyed the eleven block tutorials our designing friends have been sharing here this week and last week. 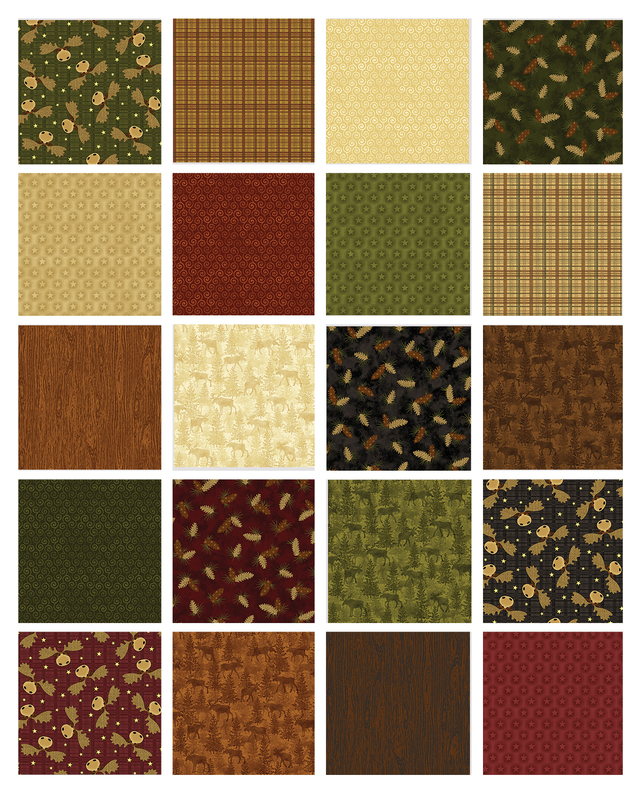 Be sure to stop by each day to see a new block and have a chance to win some Burlap Brights for yourself! Today, Wendy from Ivory Spring is sharing her block. 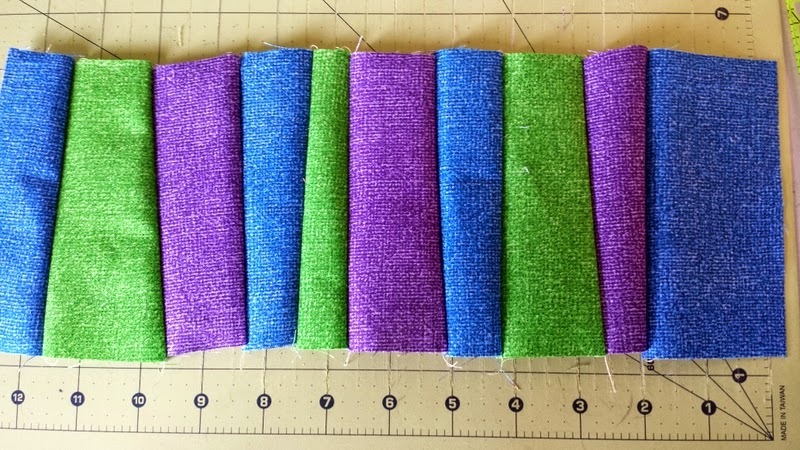 Check out her tutorial and then scroll to the bottom of this post to enter for a chance to win a fat quarter bundle of the six Burlap Brights prints featured in our hop. Hello Everyone, this is Wendy from Ivory Spring. I am brightly happy to be participating in Benartex's Burlap Brights blog hop. It's always fun to be part of Benartex's hops. 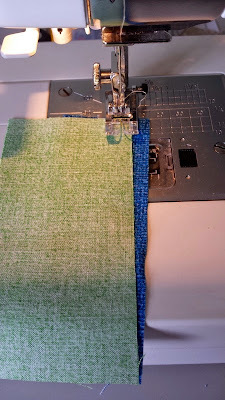 So the idea is to use 6 colors from the fabric line to construct a 12" block. Because I am kind of on a personal quest to see how many ways I could doctor and use the sawtooth star block, my block is a sawtooth star variation block. I am calling my it Happy Go Around Star! 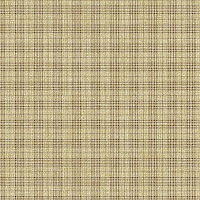 For this block, we will be using all 6 Burlap Bright fabrics and 1/8y of white ground fabric. 1. Draw a diagonal line on the wrong side of all the colored squares, except for the (1 1/2" x 1 1/2") red square. 2. 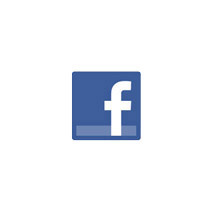 Using the green square as example. Place (4" x 4") green square, right sides together, on 1 (4" x 4") white square. Sew 1/4" away from, and on right and left sides of drawn line. Cut along drawn line. Open and press to yield 2 half-square-triangle (HST) units. 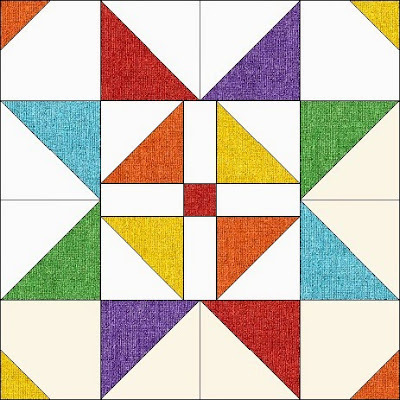 Repeat for the red, blue, purple (4" x 4") as well as the yellow and orange (3 1/2" x 3 1/2") squares, using white squares of corresponding sizes. 3. 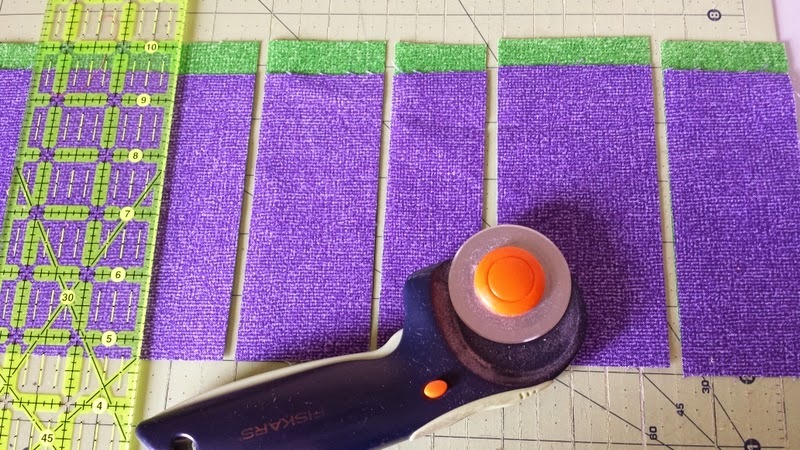 Lining up the diagonal line of the HST units against the 45 degree line of the ruler, trim the red, purple, blue and green HST units to measure 3 1/2" x 3 1/2" raw edge to raw edge, and yellow and orange HST units to measure 3" x 3" raw edge to raw edge. 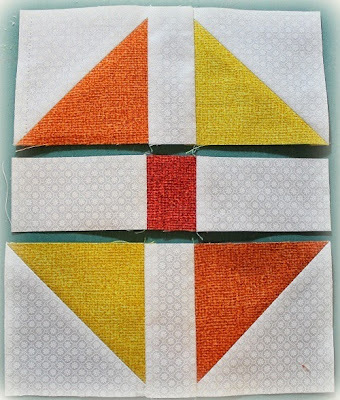 Sew 1 yellow HST unit and 1 orange HST unit to the opposite long sides of 1 (1 1/2" x 3") white rectangles. Repeat to make 2 pieced rows. Sew 2 (1 1/2" x 3") white rectangles to the opposite sides of 1 (1 1/2" x 1 1/2") red squares into a pieced rows. 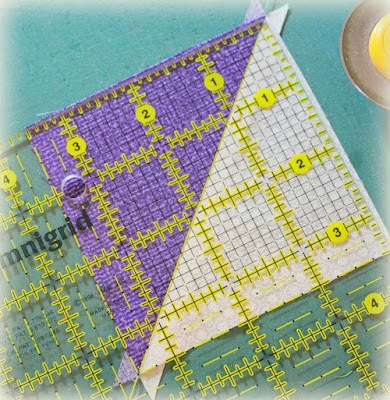 Sew the rows together to complete block center. 5. 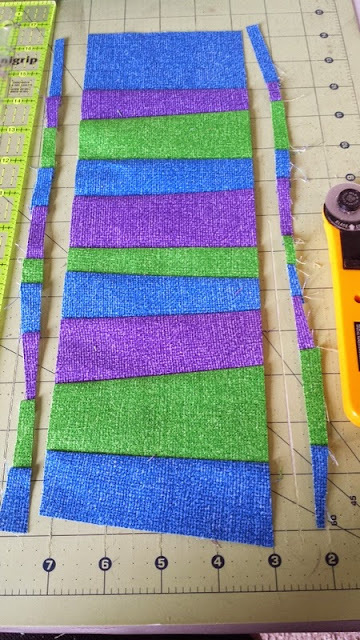 Sew 1 green HST and 1 purple HST together into a pieced column. 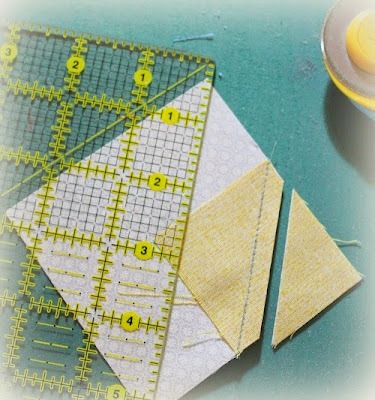 Repeat to make 2 columns, and add to the right and left sides of block center. 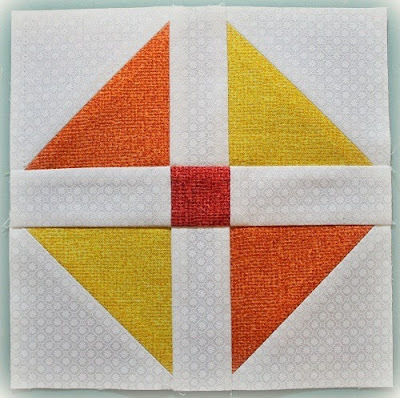 Place 1 (2" x 2") yellow square, right sides together, on 1 (3 1/2" x 3 1/2") white square. 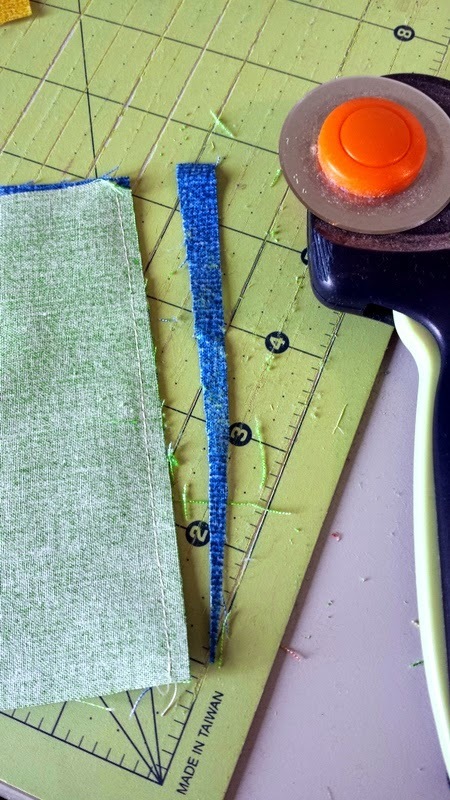 Sew on drawn line. Trim 1/4" away from sewn line. Open and press to reveal yellow corner triangle. Repeat to make a total of 2 yellow and 2 orange corner units. 7. 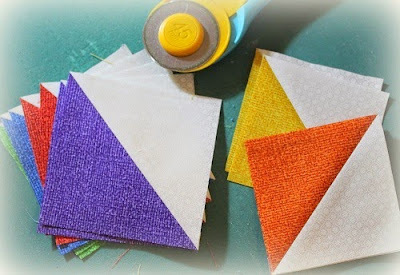 Arrange and sew together 1 yellow corner unit, 1 orange corner unit, 1 red HST and 1 purple HST into a pieced row. 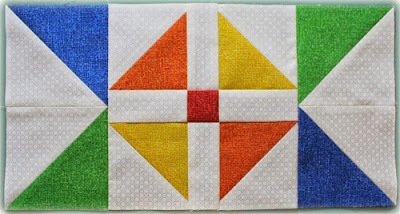 Repeat to make 2 rows, and add to the remaining opposite sides of block center to complete block. 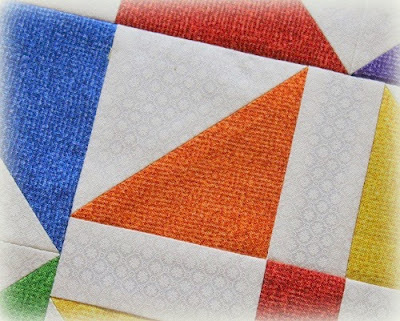 You can easily make a number of these blocks, and sew them to make a quilt. My husband walked by my work station, and commented how he liked the block! So, I will be making a few more blocks myself to turn it into a quilt! Thank you for stopping by! 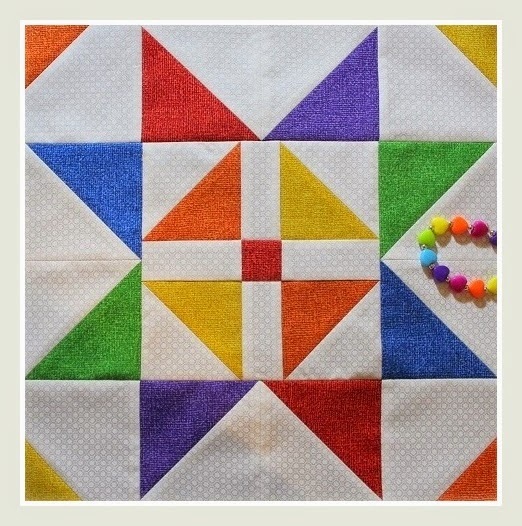 I hope you have liked my Happy Go Around Star block. The colors sure make one happy, don't they?! Even more so, I hope you have enjoyed seeing the other designers' creatively designed blocks! 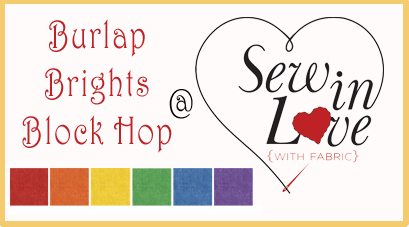 For a chance to win your own rainbow bundle of Burlap Brights, make sure you're signed up to follow our blog (through a blog reader or by email; both options are in the right hand sidebar). Leave a comment letting us know that you are and tell us if you've ever made a rainbow colored quilt. To see the entire schedule, click here.